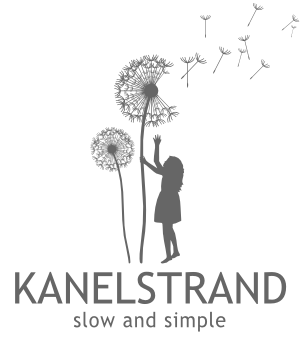 Today I am very excited to present the awesome Kanelstrand sponsors and the discounts they offer only for you! They are not only talented and passionate about living in peace with nature but they are also very generous. Click through to their etsy shops and choose what you like, then use the coupon code they have given and you will get a discount! Passionately in love with nature, color, fragrance and life! I also love to cook and use herbs from my organic garden. I have travelled the world and post the occasional Thai recipe and/or dish! 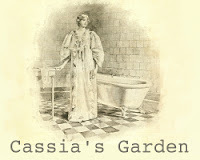 I create handmade artisan soaps in my beautiful kitchen with nature's essential oils and skin loving extracts. People just love my soaps, lotions, scrubs, whips and candles! Stop by and see what we're cooking up! With coupon code KANEL25 you get 25% off your entire order. Belle Terre use only organic oils in their natural handcrafted soaps, lip balms and related products. They also use minimal and recycled packaging, and commit 5% of our sales to charity. All of this means you can enjoy our products with peace of mind, knowing that not only are they great for you, but they are also helping to create a cleaner and healthier world for everyone. With coupon code GIVEAWAY15 you get 15% off your entire order. Just like diamonds, my pieces are uncovered and refinished to be made beautiful. Some of my items are simply restored into a new look and some are complete transformations. I do use new materials for some of my items but they are always organic or have earth friendly properties. That is my PROMISE to myself and my customer. With coupon code ECOCALM10 you get 10% off your entire order. This is a visual-candy store that offers glossy postcards and unique still life, landscape, food & travel photography. I hope it gives you and your home joy & happiness. The photos are perfect as gifts to friends & family or just for you because they invite you to 'come and see beauty in every day events'. With coupon code BEHAPPEE2011 you get 10% off your entire order. Eco friendly purses, handbags, and accessories, made from repurposed, upcycled, and recycled materials, down to the zippers, buttons, and pockets. Nothing goes to waste! With coupon code KANELSTRAND you get 10% off your entire order. In my etsy shop you will find the most awesome organic jewelry and other eco accessories for you and your home. I am a proponent of sustainable design and follow a philosophy of peaceful creation. My products are made from organic materials and comply with the principles of ecological sustainability. And because I love my readers, I offer you 25% off all your orders with coupon code 20OFF. Huge thanks to the Kanelstrand sponsors for sharing their discounts. All of the funds raised by their awesome ads go back into spreading the word and promoting the Kanelstrand blog. Enjoy your shopping and thank you for choosing handmade! Awesome! So many great, earth-friendly shops... and a discount is always fun. :)Love it!